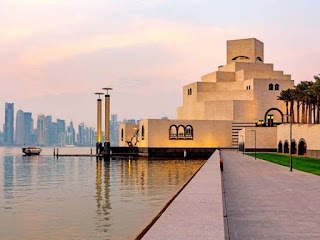 The first time I set my foot in Doha, I was amazed, living here is like a paradise, but that just what I thought, if you are earning a huge salary here, the life is amazing in Doha, every luxury you can think of is affordable for you. But not for us who were living only from a minimum salaries of engineers. Paying the rent of our home and the tuition of my son can really stash off our earnings here in fact we couldn’t save at all because what can we do we are oblige to spend it also here in Doha for our necessities. Every now and then I try my very best not to overspend here because I need to be mindful with the huge bills, monthly rent, tuition, amortization, transportation and of course our groceries that we need to pay plus the part of becoming an OFW to send and remit money in the Philippines to support our family there. So I list down some things that I do to lessen our spending habits here, which of course you can follow. 1. Cook our own meal. Here in Doha it is easier to get the food deliveries from nearby restaurant without the delivery charge but usually a dinner for a small family could cost a 70 Qatari Riyals which is nearly equate to $ 19. Our usual Dinner is a rice and chicken and some vegetables that cost only 30 QAR if I did the grocery from Bakala (convenient store) and cook it by myself. This will be also our take away food the next day we go to work and to school for my son. 2. Walk miles while I can. For my husband who goes to site and my son who takes school bus far apart with different means of vehicles and that means more money to stash out, I sacrifice to walk just to save a little money in which our site office is 10 minutes’ walk from our flat. I actually save 10 QAR every time I walk which we use to give as a daily allowance for my son in school. And I am hoping that he can buy snack foods with it although I never skipped to give him a snack along with his lunchbox. 3. Corniche. While there is no other place to go here in Qatar except for the mall which is very tempting not to spend at all, we like to go here for a walk and met other people too. It refreshes our weekly usual activity and to kill time during weekend (every Friday) without overspending, of course a little eat out after a walk couldn’t hurt more in the pocket since it is just once a week and sometimes just twice a month if I am motivated to cook something especial. 4. Spot the grocery sale aisle. Which mostly anyone here who live in Doha do whenever they are in a grocery. But buy only what is most staple in the kitchen like rice, cooking oil, pasta and sugar which usually are on sale. For this item I never buy on a regular price since they can stock for a longer time.